With moral relativism so prevalent in our society, Fr. 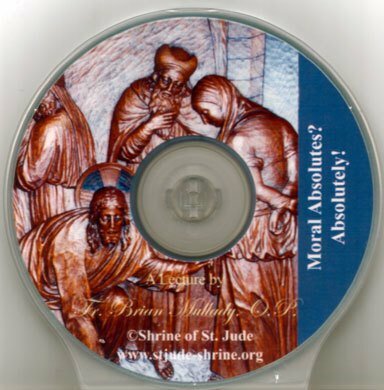 Brian Mullady, OP, explains the traditional teaching of the Church on the object, intention, and circumstances of the moral act reiterated by Pope John Paul II in the encyclical The Splendor of Truth. CD, 43 minutes. $10.00.